“The ability to generate T cells from pluripotent stem cells (PSCs) has the potential to transform autologous T cell immunotherapy by facilitating universal, off-the-shelf cell products. However, differentiation of human PSCs into mature, conventional T cells has been challenging with existing methods. 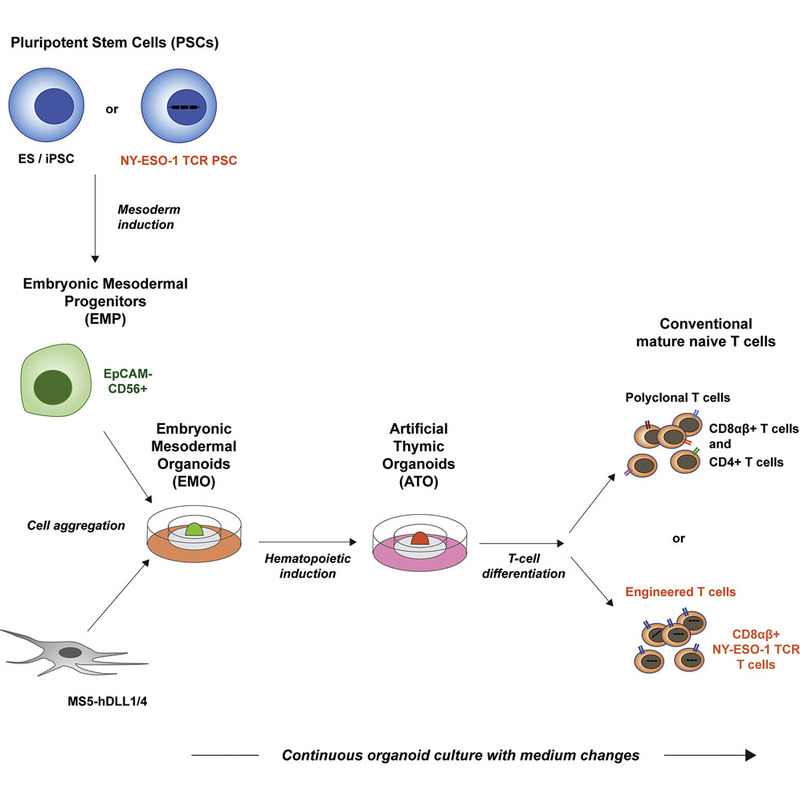 We report that a continuous 3D organoid system induced an orderly sequence of commitment and differentiation from PSC-derived embryonic mesoderm through hematopoietic specification and efficient terminal differentiation to naive CD3+CD8αβ+ and CD3+CD4+ conventional T cells with a diverse T cell receptor (TCR) repertoire,” wrote the investigators. Therefore, a technique that produces T cells without relying on collecting them from patients is an important step toward making T cell therapies more accessible, affordable, and effective. 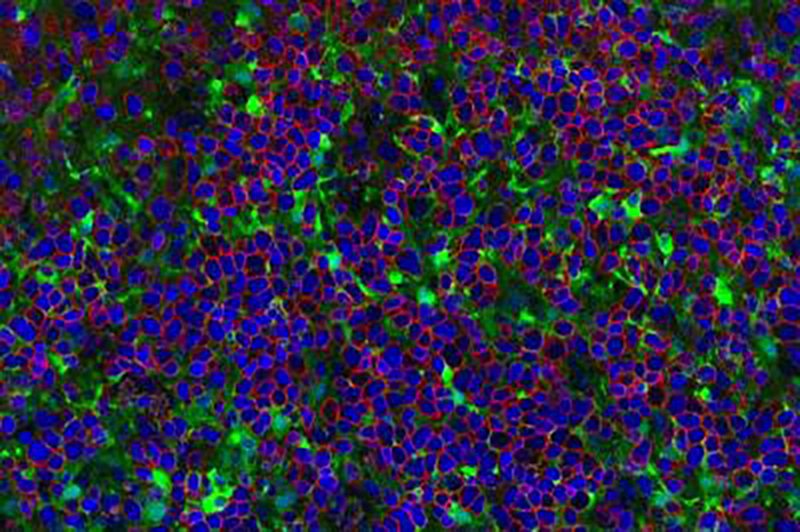 Other researchers have been only partially successful in their attempts to generate T cells using methods that involve combining pluripotent stem cells with a layer of supporting cells, explained Crooks, adding that the T cells produced in those previous studies did not mature to become fully functional T cells. 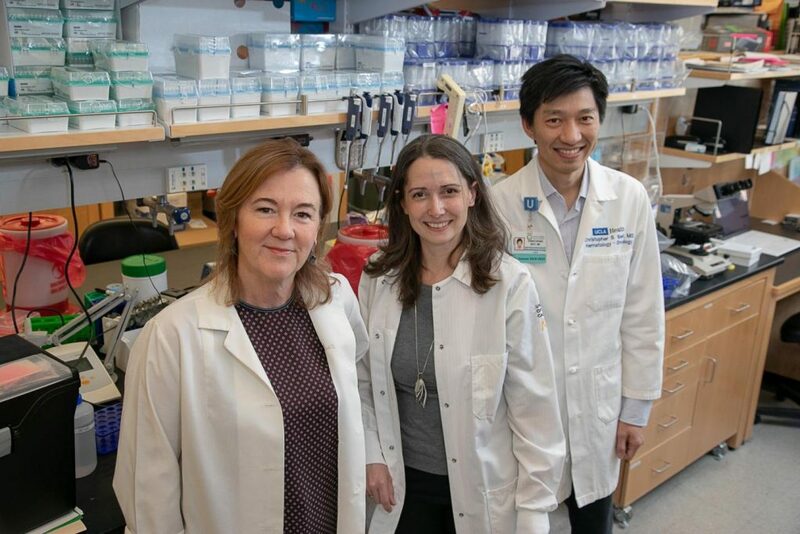 “Once we create genetically edited pluripotent stem cell lines that can produce tumor-specific T cells in artificial thymic organoids, we can expand those stem cell lines indefinitely,” said Amélie Montel-Hagen, PhD, the study’s first co-author and an associate project scientist in Crooks’ lab. Having an unlimited supply of T cells capable of fighting various types of tumors would be a major turning point for cancer treatment. “Our next step will be to create T cells that have the receptors to fight cancer but do not have the molecules that cause the rejection of the cells, which would be a major step toward the development of universal T cell therapies,” said Christopher Seet, MD, PhD, the study’s first co-author and a clinical instructor in the division of hematology-oncology at UCLA.